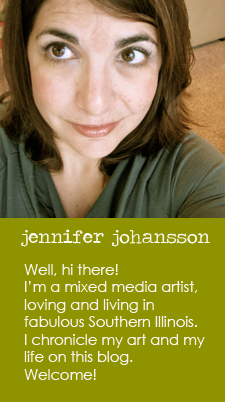 Jen and Ink: ACEO Four Pack! 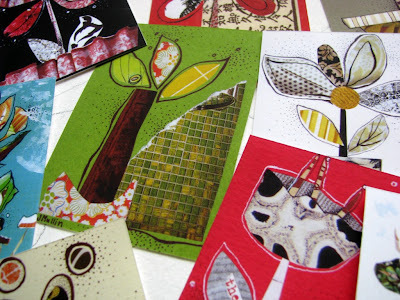 ACEO's (Art, Card, Edition, Original) are easily the most popular item in my shop. Those tiny 2.5" x 3.5" beauties can be made quick and sold inexpensively. I often make them while I'm at school and the kiddies are busy working. When I got my fancy-dancy Epson R2880 printer I started selling ACEO prints. These have also become quite popular and a great way to collect my art on the cheap. I've decided to offer a "4-Pack" of my ACEO prints at a discount. You can choose any 4 ACEO prints from my shop and pay just $14! My ACEO prints sell for $4.00 each, so buy a 4-Pack and save two bucks. Check out the "Tiny Prints" section of my Etsy shop. Off to Yoga. Have a great day!